This is the second Main Ridge Estate wine tried in recent months, both good. You can read the other review at this link. 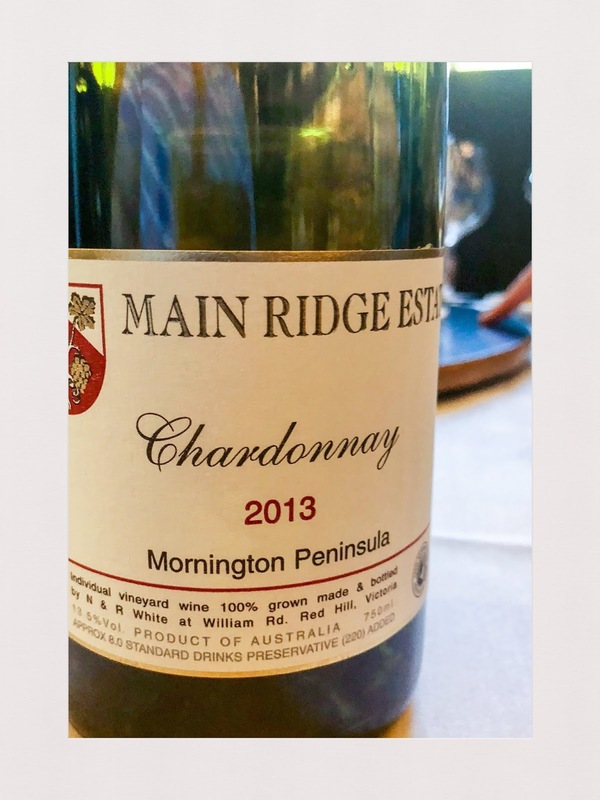 Main Ridge Estate was one of the earlier Mornington Peninsula estates established in the 1970s, and as far as I can tell, was sold in late 2015 to the Sexton family. The 2013 chardonnay tasted here, presumably crafted under the old regime, has an aroma that reminds of almond meal, refined French oak and orange rind. The palate is refined, with mid range acidity and great length on the finish. For (modest) details on the vintage conditions, you can look at the Mornington Peninsula Vignerons Association notes here. Rating: Very Good. Abv: 13.5%. Price: $65. Website: https://mre.com.au.